The manufacturer has taken to Twitter to post three images over the last few days. One shows a mock-up of the economy cabin, along with the message “Just like the 787 #Dreamliner, the #777X passenger experience will leave you feeling refreshed with better cabin altitude and humidity, temperature, sound quality and lighting”. The aircraft combines passenger comfort with superior range (8,555 nautical miles for the 777-200 LR and 7,370 nautical miles for the 777-300 ER) and excellent fuel efficiency making it a great choice for airlines. In fact, out of the 20 longest commercial routes half are operated on a 777. It also has the longest body produced by the manufacturer, of 252 feet, and the widest wingspan of any aircraft in the company's 102-year history: 235 feet, five inches, CNN reported. The first flight of the Boeing 777X is scheduled for 2019, with first delivery slated for 2020. 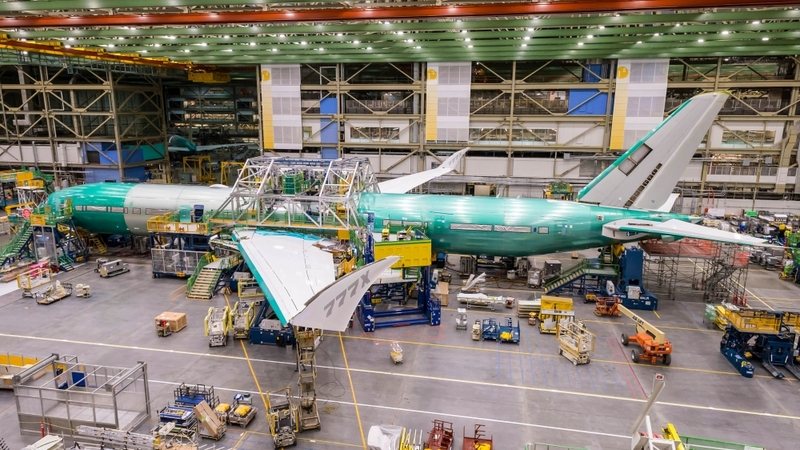 According to TPG, so far, 340 orders and commitments for the 777X are inked from an array of carriers, including All Nippon Airways, Cathay Pacific, Emirates, Etihad Airways, Lufthansa, Qatar Airways and Singapore Airlines.